COIN FALLS casino gives £5 no deposit bonus to all new players just for signing up a new account. After your registration of a new account, just sign in and start to spin with your free money and no deposit are required. 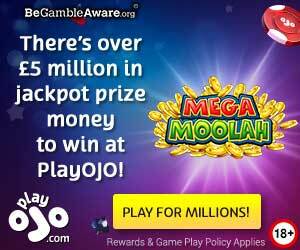 All new players will also get a bonus package of £500 and 50 free spins on Starburst with your three first deposits. Make a first deposit of £10 or more and you get 50 free spins at Starburst video slot + 200% casino bonus up to £50. Below you see all the welcome bonus package.